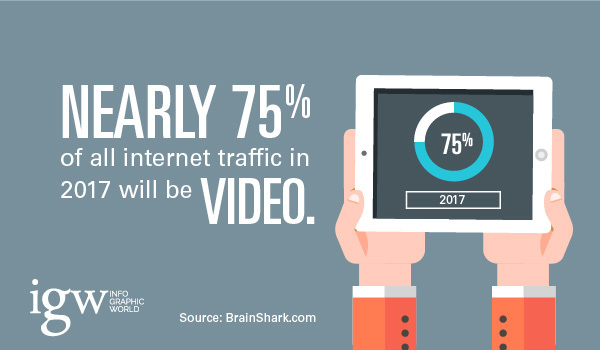 It’s old news by now: videos are taking over social media. Everyone’s watching them, sharing them and, put simply, loving them. Naturally, businesses are looking for ways to take advantage of the craze. Indeed, there are quite a few ways you can implement videos in your marketing strategy and it doesn’t involve you breaking the bank. Having a third party agency making video content for you can easily reach the 20.000 – 30.000$ price range, so we’ve collected a few ways for you to cut many corners and make great content on your own. In this article, we’ll first go over potential scenarios for which you could use video and right after that we’ll give you some actionable advice how you can shoot great video content on your smartphone. Announcing new product. If you’re about to launch a new member of your product family, you could do this in a simple video where you would a. Say what the product is; b. Which problems does it solve; c. When is it launching; d. How can people get their hands on it. Keep it short, sweet and in tone with your brand’s personality. If you’re worried that you won’t be able to make a decent quality video, we’ll cover that later in the text, as promised above. If your product takes a long time to launch, then do some teasing. So, you could do little teasers along the way and create some hype around the product even before it’s even close to being introduced to the world. This way it won’t seem to be MIA until the launch (since people really loooove consistency). People aren’t buying the product, they’re buying the solution to their problem. In other words, no one needs a drill, but many need a hole in their wall. So, putting up videos showing the ways your product can be used is a great way to go. And you don’t need to be selling actual objects – same goes if you’re making software, offering consulting services, writing content as a freelancer etc. If you’re throwing an event make sure it’s live streamed. Don’t worry, this doesn’t necessarily mean you need to have 5 professional cameras on at any given moment. A simple Snapchat story or occasional live video check-ins on Instagram or Facebook will do the trick. Speaking of live streams, they are a great tool you can use for occasional Q&A sessions. For example, if you see that your audience is interested in a certain topic or, perhaps, has some concerns, doing a live Q&A time will work like a charm. You’ll be able to connect with the people on a personal level and put a human face to the brand, which always helps. For this, any of the aforementioned platforms could be used, or you could opt for Periscope which is extremely suitable for live interaction with people. If you’re looking to engage with the people on a level that’s hyper-personal and shows extreme dedication, why not reply to a few tweets or comments on Facebook with a simple video? An impromptu clip made just for that person will make them feel super special, especially in a scenario where people are asking to see how your product looks, how big it is or something along those lines. Give it a whirl and let us know how it went! Most smartphones nowadays can make HD videos. So make sure your resolution is set to 1080p. This is a setting that can be adjusted once and that’s it. Always always always film in landscape format versus portrait. It’s how are eyes are set, that’s what everyone prefers, and that’s what just looks better. Make a tripod out of your body. 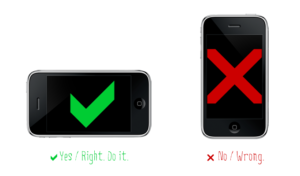 To avoid shaky videos, put your phone in front of yourself like you would normally do, hold it with both of your hands while your elbows are resting on your stomach. This way the footage will be as stable as it can possibly be. Tap your finger on the thing that you want to be in focus. Focus can also be changed while recording by simply tapping on whatever it is that you want to become the focus. This is again a standard feature of modern smartphones. If you’re not using external microphone, make sure you don’t cover the one that’s on your phone with your finger. This might sound trivial, but if it’s overlooked it can destroy all your hard work. If you’re capturing an event, start with an establishing shot. That’s a shot that tells the viewers where the video is set and what is going on. This could be followed with an audio or verbal explanation. For example, if you’re covering an event, give the viewers an overlook of the venue and tell them what it is that they’re watching. From that point, you can focus more on whatever is the main point of the video. You can’t film people without their permission. Make sure everyone knows they’re being filmed and what will happen to the footage. If you’re shooting a how-to or checking in from an event or whatever it might be that you’re filming, make sure you include your brand’s logo in the video. If you’re not doing live stream don’t put up raw material, take some time to edit your videos. The tools are much more intuitive and comprehensive than it might seem. If you’re using your smartphone, try Adobe Premier Clip – a free user-friendly app available for both iOS and Android, that allows you to both edit the video as well as to add audio to it. It also comes with a computer-friendly version. There you have it. We’ve gone over quite a few tips and tricks that will help you get on track with the latest and greatest marketing trend for 2017. Much like any other form of content, being able to set aside notable budget is (sometimes) helpful, but it is by no means the only way it can be done. “Always always always film in landscape format” except when shooting Instagram stories, otherwise you’ll have serious cropping on your hands.